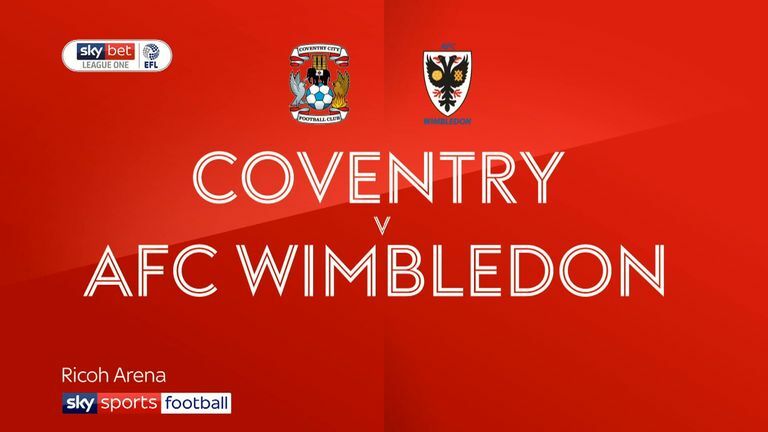 Highlights of the Sky Bet League One game between Coventry and AFC Wimbledon. AFC Wimbledon failed to close the gap to safety in Sky Bet League One after drawing 1-1 at Coventry. The visitors sucker-punched the promotion-chasing Sky Blues in the second minute at the Ricoh Arena as Jake Jervis put them ahead. But Wally Downes' rock-bottom side failed to hold on for a vital three points in their relegation battle as Luke Thomas drew Coventry level just after the hour, leaving both teams having to settle for a share of the spoils. 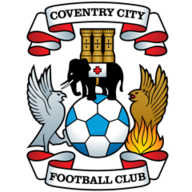 Jervis pounced just 72 seconds in with a well-taken finish from close range after Coventry failed to clear their lines from a corner. It was almost two after 13 minutes when Mitch Pinnock wriggled into space and thumped an effort against the bar from outside the box. At the other end Liam Kelly's effort was well tipped over by Aaron Ramsdale before the Coventry midfielder later fluffed his lines when he fired over from seven yards just before the break. Coventry's pressure told on the hour, though, when Thomas fired a deflected effort into the bottom corner through a crowded box. Thomas was almost the Coventry hero 11 minutes from time when his effort whistled past the post. 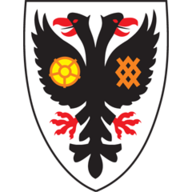 Andy Barcham also missed a late chance to nick it for basement boys Wimbledon when he was denied by Lee Burge, as the Dons remain five points adrift of safety.